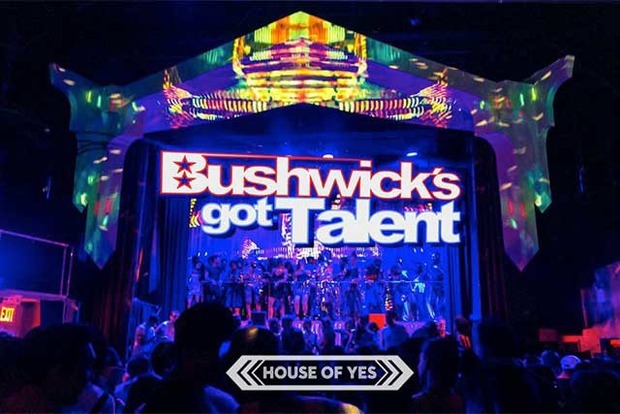 Share Your Talents TV-style at Bushwick's House of Yes! A new variety show called "Bushwick's Got Talent" is coming to the Wyckoff Avenue venue in September, so get your act together and wow your friends and neighbors! Warm up, Bushwick—the time is coming to strut your stuff! Bushwick performance institution House of Yes is accepting audition tapes for a turbocharged talent show to take place in September in the style of a televised competitive arts showcase. "Bushwick's Got Talent," which is scheduled for Thursday, September 22 at 7 p.m. at the beautiful space at 2 Wyckoff Ave. off of the Jefferson Street stop on the L train, is an opportunity for community members to present their unusual skills to the public as a short act. Performances will be judged by as-yet unannounced local celebrities, and prizes, including cash for the first place participant, will be awarded at the end of the evening. Interested parties can RSVP on Facebook, and tickets to the event, which cost $15-25, can be purchased ahead of time on EventBrite. Now's the chance to share your skills, secret or otherwise—so get that video ready! Best of luck, talent of Bushwick!